When you start with International Shipping, you may face a lot of confusions with the options you get at the first place. You also come across new terms like customs and duties. After all your tries, the last thing you want is the right information and answers to some of the general questions. In this article, we are going to answer some of the frequently asked questions regarding international shipping and provide adequate information so that you can kick start shipping overseas. Let’s start with the list of questions a typical beginner in international shipping would frequently ask! What are the basic requirements for International Shipping? What are the best packing methods? What are the regulations, custom, and other international laws? What are the restrictions on import and export? Which are the most suitable carriers? How to get negotiated rates by the carriers? What are the best tips to save buyer’s money spent on shipping? How useful will international returns be? How to integrate these into a WooCommerce store? The most basic requirements for International Shipping is inventory management. You have to know your products inside out. 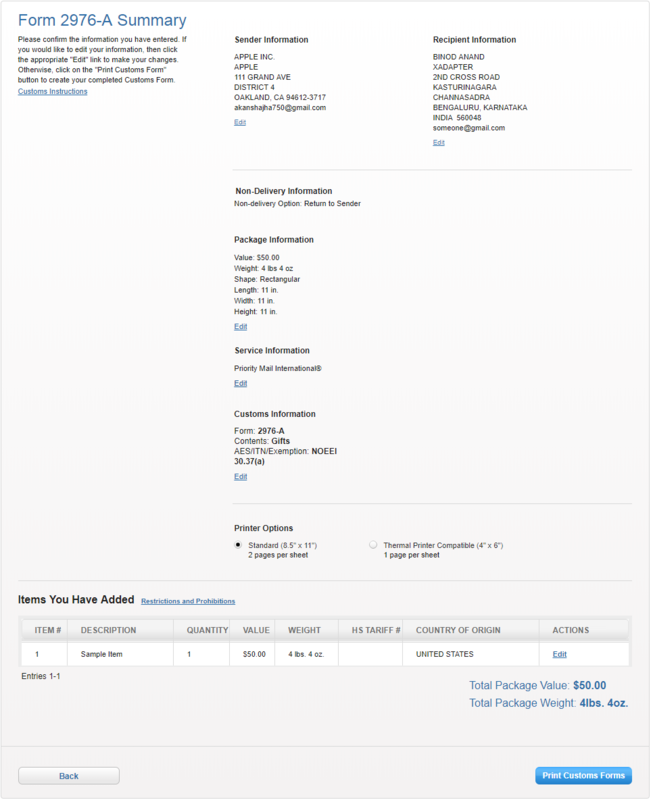 WooCommerce and the shipping carriers require necessary product details (screenshot below) that affect your shipping strategy. So if you get these details right, half the battle is won. WooCommerce shipping includes the shipping weight and shipping dimension of the products which determines the shipping costs. Further, if you have a shipping class for your products, choose the correct class for flat rate calculations. You should also be ready with the very important HS Tariff Number for your products that is mandatory for international trade. And finally, you can choose to apply various additional service provided by your carrier. For instance, adult signature, special service for dangerous goods etc. Use strong and light packing materials for fragile items. Padded and poly made envelopes provide extra safety for documents and other light items. Provide extra proofing to the bottom of the boxes to withstand self-weight and multiple lifts during the delivery. Don’t use unnecessary padding as it can lead to extra Dimensional Weight. Cardboard boxes provide extra security for packages. Use standard quality labels and packing tapes for better identification of packages. Use padding which is lightweight and takes less space. 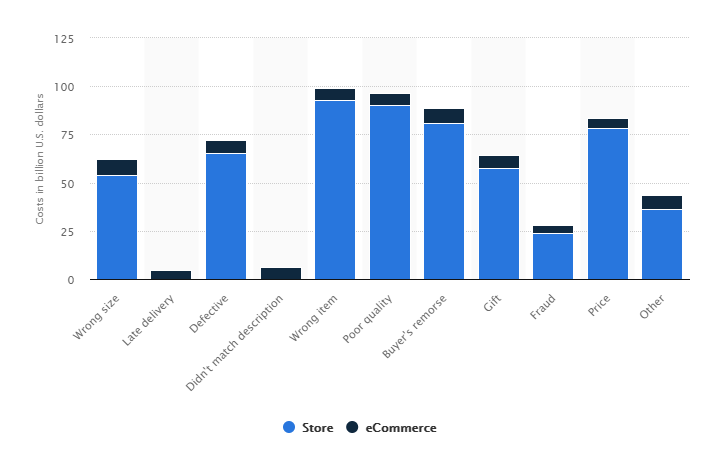 The bottom line here is that you should get a full-fledged inventory and populate the correct data in the shipping section of each product. In the case of international shipping, there is always a space crunch. Carriers use cargo ships and aircraft for overseas delivery which ‘limits the space and weight’ that can be transported across. This has led to various pocket-friendly packing methods and is used during shipping rates calculation by the carrier. These packing methods are also available with all premium shipping plugins for WooCommerce by ELEX. Individual Packing – This will pack all items in the cart separately in suitable boxes by the carrier. Weight-Based Packing – This method packs products divided by weight. For instance, if you want each box to have a weight of 5 pounds, this method will calculate shipping rates with each box weighing 5 pounds. Dimensions of the package don’t impact the shipping rates in this method. Pack in Boxes Based on Weight and Dimensions of the Products – This method allows custom boxes and weight limits. You can add boxes with custom dimensions and limit the weight per box. So each time the assigned weight is achieved, the next box is automatically chosen. USPS offers an extra packing method where products with dimension lesser than 12″ are packed together and larger products are packed in individually. This is highly useful when the maximum products in your store are less than 12″ in size. Any package smaller than 12″x 12″x 12″ is exempted from dimensional weight calculations by USPS. Bottom line here is that all these packing methods help you minimize the shipping costs and are suitable for most of the products you’ll have. Customs is the body responsible for collecting tariffs and controls the flow of goods into and out of a state or a country. The body also enacts laws and regulations for interstate and international trade across its borders. These bodies are formed based on government agreements and international trade laws. Any product entering or going out of borders go through their scanners. Commercial goods require a clearance from the customs before they reach your customers in an overseas location. Shipping Carriers are of great help when it comes to fulfilling customs regulations. These carriers employ customs experts who guide their business customers through the entire process. You can download the required forms and declarations from the carriers websites. 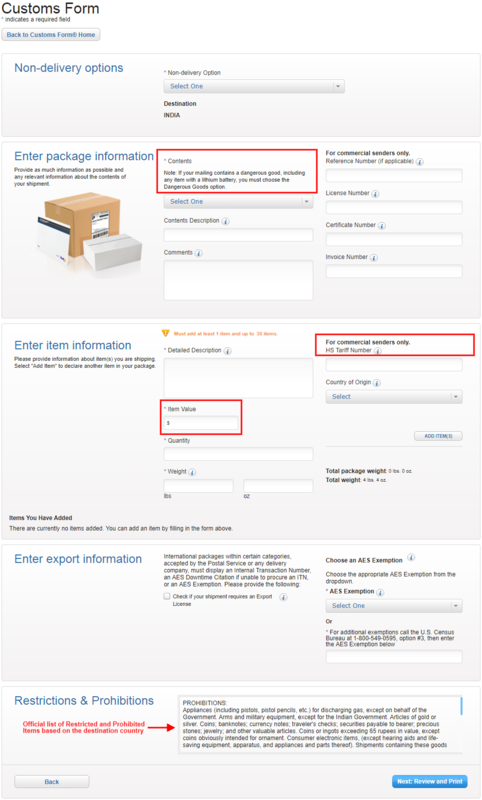 If you are using USPS official site to generate a correct customs form, fill the address and package details and select the available service. This takes you to the customs information page as shown below. Finally, you can review the information provided in the form and print your customs form. If your product is valued at more than $2500, or you require an export license, you’ll need an AES/ITN number. You can obtain the same here. Find out more about ITN. 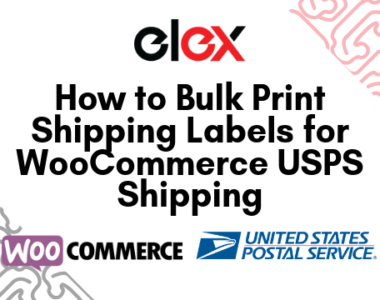 Or else you can use ELEX WooCommerce USPS Shipping Plugin with Print Label and print self-sufficient labels and customs forms from within WooCommerce. Our WooCommerce plugins for fulfillment services like DHL, FedEx, UPS, CanadaPost, Australia Post or services like Stamps.com and EasyPost also have the inbuilt options to print fully complaint customs and labels. 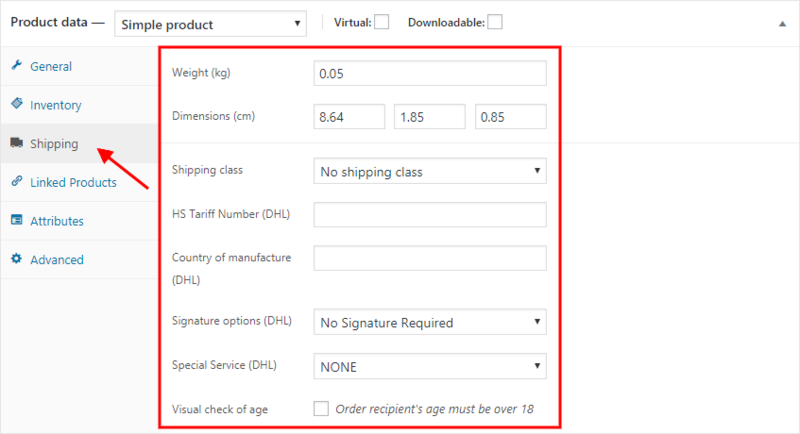 A detailed guide to print waybills with WooCommerce DHL shipping plugin will help you understand the basics of printing labels and commercial invoices for international shipping in WooCommerce. FedEx includes expert customs brokerage for its customers using FedEx Express services. For more information on FedEx customs brokerage service, you can contact your local FedEx representative. UPS provides tools and consulting services for international trade. They provide accurate regulatory and security certifications and get your packages to transmitted directly through customs sites. UPS imparts a global vision and mitigates potential issues, expedite customs and move your products more quickly to your worldwide customers. Contact UPS for personalized solutions in Supply Chain Solution. DHL offers a wide range of services to ensure uniform, consistent & compliant trade activities in case of international trade. DHL’s customs consultants review your supply chain and help you enhance your customs activities. They also help you to optimize duties, identify potential risk areas and maximize the internal compliance. Consistent and Uniform Structure that guarantees global standards with codes of behavior across the network. Contact DHL Customs Expert for more information. As we saw with USPS, you get a list of all the products that are restricted in the destination country, at the time you print the customs forms. Similarly, all other carriers keep an updated list of restricted and prohibited items on their website. These lists are based on the trade laws of the destination states and countries and may change at times, you need to have constant attention to the updates. But shipping carriers do have their own list of prohibited and restricted items, which becomes a deciding factor while choosing a carrier. Bottom line here is that there are items that none of the carrier ships, but there are items that some carriers do ship. So if the product you sell, fall in the second group, find the carrier that can ship it. For instance, if you are selling watches worth more than $500, UPS is not going to ship it for you but FedEx will do. Here is How you can Ship Alcohol with WooCommerce Australia Post Shipping Plugin! Choosing a shipping carrier is probably the most important decision of the entire shipping process. Since you are looking to ship products internationally, you need a carrier which has a well-established infrastructure around the globe. A well-established shipping carrier will offer competitive pricing and safe & faster delivery of your packages. You can either use one shipping carrier or go for multiple shipping carriers based on your international business. If you have just started, one shipping carrier should be enough, but gradually as your business grows, get multiple shipping carriers for more options in shipping rates and shipping options. 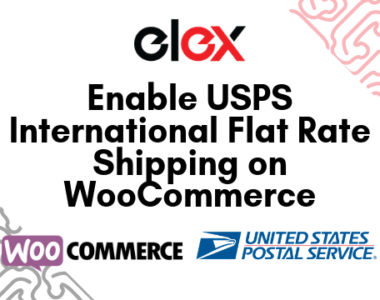 ELEX EasyPost Shipping Method Plugin for WooCommerce helps you add USPS, FedEx and UPS services to your WooCommerce store. If your shipping volume is eligible for a business account, go for it. With business accounts, you get a negotiated shipping pricing plan that doesn’t strain your budget. And if you are having business accounts with multiple carriers, you can compare their pricing to use the cheapest one. One more benefit of having multiple carriers is that you can insist on having services which the one carrier is providing and other is not. Packing Materials – All major carriers provide free packing supplies that you can get them delivered to your warehouse. They come in different sizes and are strong enough. USPS flat rate boxes are the most widely used boxes in the US. Negotiated Shipping Rates – Get your business account with your present shipping carrier. A business account with your carrier can get your personalized pricing plan that suits your business size. Effective Packing Method – Different packing methods lead to the selection of a different number of boxes for packing products. Selecting the right packing method crucial as you may end up paying double the amount. Box packing here is going to explain this phenomenon in detail. Using Multiple Carriers – Multiple carriers give options with shipping rates. So you can compare different rates and choose a suitable carrier. Providing multiple shipping options on the cart and checkout pages also improve customer satisfaction as they get to choose the service they want. Scheduling Free Pickup- You can schedule a free pickup for your parcels from your warehouse without paying extra charges. Returns are a part of a customer’s purchase decision and the return experience plays an important role in leaving a positive impression on your customers. Unlike domestic returns, international returns are a costly issue, especially when your customers are at the maximum distance. But since returns are going to be a positive addition, it becomes a must-have service for commercial success. International returns are going to take strategic planning so that you can minimize cost. It is equally important in order to maximize the trust the convenience for your customers. To decide if you need to offer international returns or not and choosing if it is going to be an in-house affair or you require to outsource it, consider your product type, your international business, and other necessary resources. Your decision should be made in such a way that you end up making it a profitable effort. Our complete guide to WooCommerce Return is going to help you in many ways. Integrating the shipping services to your WooCommerce store has become easier than ever. Shipping carriers offer their online API’s that include services like in-built packing methods, real-time shipping rates, printing labels and automatic tracking of packages. The plugins also send automated emails to your customers at different stages of the shipping process. These plugins provide a fully automated shipping solution to your WooCommerce store and provide a convenient shipping experience for you and your customers. Shipping plugins come in two types, one is the basic version and the other is the premium version. Store owners having limited shipping requirement can go for the basic version available at WordPress repository, but as the size of the business grows you might need to upgrade to the premium versions. Premium versions exclusively provide services like multiple packing methods, printing of shipping labels and custom settings. This article will help you in choosing the best USPS shipping plugin for WooCommerce. By the time you ship your first package, you should be confident that you have the right things in the right places. Hope that the article provides enough information and you end up taking the right decisions for your international shipping strategy. Explore our Shipping archive for top-of-the-class plugins.